Herring, pickled mustard green, and rice – Nick. 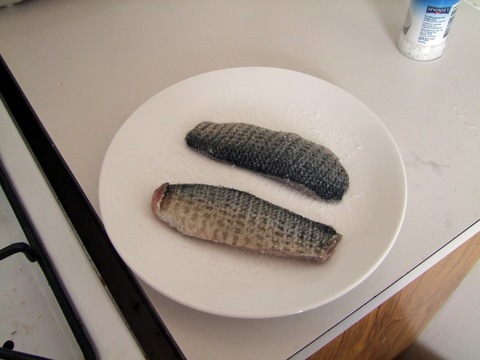 I’m pretty happy with the herring we got the other day. 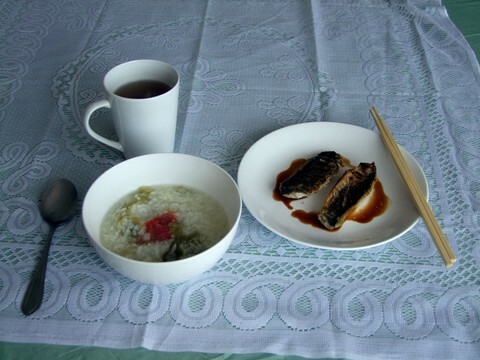 Lunch today consisted of rice soup with pickled mustard green and chilli, and two grilled herring fillets covered in salt and served on soy sauce. So good and so easy to make, it also looks rather fancy when placed on a doily. Salt the herring fillets on both sides and leave (covered) in the fridge for 10-15 minutes to allow the salt to sink in (and soak up moisture). 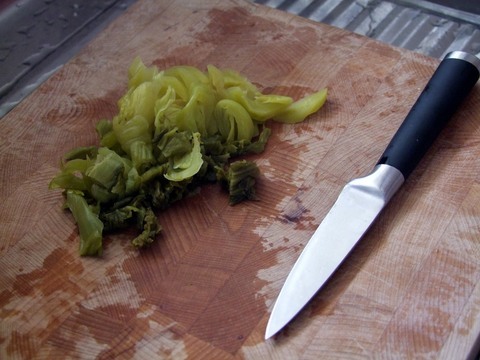 Make a few cuts into the skin (since it will shrink) and grill on a medium heat first on the flesh side and then on the skin side (until it is crispy).